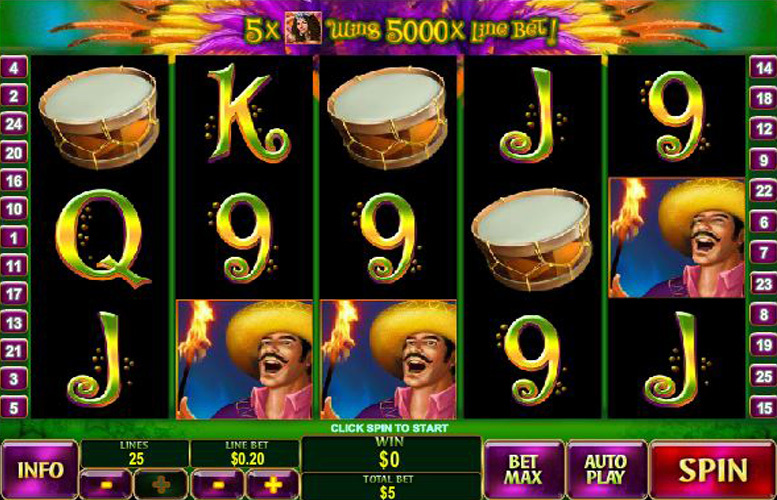 Feel the carnival rhythms with the Samba Brazil slot machine from Playtech. As you’d expect, the music on this one is great, and the imagery comes straight from a Latin American party – think maracas, firebreathers, and exotically dressed dancers. 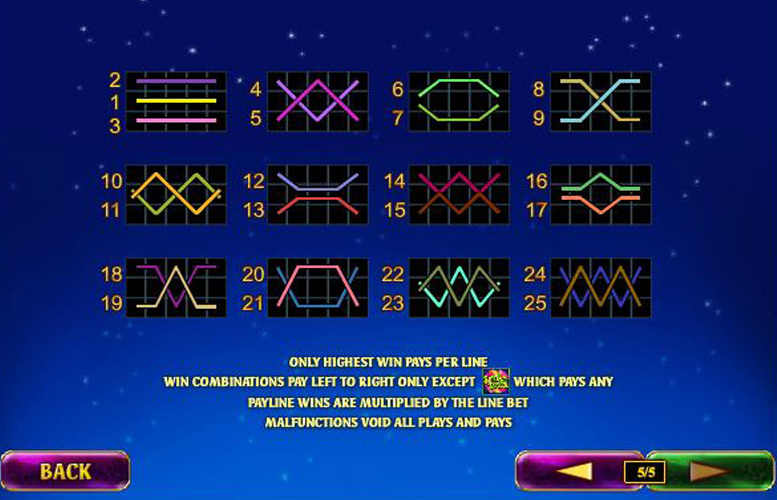 The slot itself is a five reel, three row game with up to twenty possible win lines active at once. In terms of bonuses, Samba Brazil has a couple of fun features to keep the action varied. These might not be the most diverse out there but with the right multiplier on a round of free games, they can be incredibly lucrative. Bright colours, and eye-catching imagery makes the title visually appealing. Decent sized jackpot. 5,000 isn’t the largest out there but it is more than a great many similar machines. Perfect for high rollers. The game has a maximum cost per spin of £1,250. It’s hard to imagine many folks wanting to bet more on an online slot machine. Not the most exciting bonus rounds going. There’s some mild titillation on offer for those who are that way inclined but all told, the game features could be more creative. Some people might find the scantily clad, chest shots of the female dancer a bit distasteful. Matching face and chest = 5,000x the line bet. Mixed face and chest = 750x the line bet. Firebreather = 500x the line bet. Maracas = 200x the line bet. There are a couple of interesting game features in the Samba Brazil title but neither can be considered revolutionary. One is a standard stacked wild symbol (often, and in this case, used as an excuse to show a woman with her clothes off), and a free spin bonus that mixes the concepts from typical “pick a box” style bonuses with a classic free game feature. Hitting three or more of the “Samba Brazil” scatter symbols will award the Samba Music Bonus. Players are presented with a screen full of maracas and must select them to uncover prizes. These include instant cash, free games, and free spin multipliers. 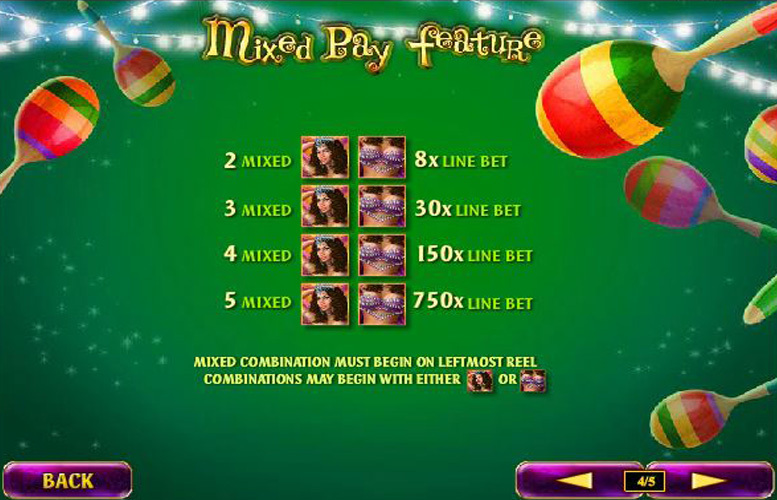 When a player selects both free games and a multiplier, the prizes are collected and the free games begin. What’s more, hitting three or more additional “Samba Brazil” scatters will award 10 extra free games. This can occur infinitely too. The game’s two wild symbols can appear stacked on reels 2, 3, and 4. An animated is triggered when wilds cover an entire reel and players are given a full look at the dancer’s entire figure, and scanty outfit to boot. Ace, or King = 150x the line bet. Queen, or Jack = 100x the line bet. 10, or 9 = 75x the line bet. When it comes to varying their set size, players are given quite a lot of scope to mix it up. They can adjust the amount bet per line, as well as the number of lines bet upon per spin. There are between one and 20 different win lines, and players can bet between 1p and £50 on each. That makes the minimum cost per spin just 1p, and the maximum a substantial £1,250. With such a large maximum bet per spin, Samba Brazil is a great choice for the highest rollers out there. The Samba Brazil slot machine is a fun game to play that can be rather lucrative too. It’s as bright and colourful as you’d hope from a carnival themed game and the music is suitably danceable. With a decent sized top jackpot, and a reasonable bonus feature, it’s easy to understand the appeal of this one – that’s without getting onto the scantily clad dancer who appears stacked to ensure the game’s as lucrative as it is visually appealing. This game has a rating of 4 / 5 with 602 total reviews by the users.